Although we make every attempt to provide current, correct information on our website, mistakes do sometimes happen and we apologize for any confusion that may occur due to any error. Prices and parts specs are subject to change without notice via mfg. and we reserve the right to uphold current in store pricing. Prices shown on this website are msrp. Call John Carrillo for current market or sale pricing! Thank You! Please contact me before shipping any package to me. Copyright © 2013, 2014, 2015 and 2016 – John Carrillo. All rights reserved. As a user, you are authorized only to view, copy, print, and distribute documents on this Web site so long as (1) the document is used for informational purposes only, and (2) any copy of the document (or portion thereof) includes the following copyright notice: Copyright © 2013, 2014, 2015 and 2016 – John Carrillo. All rights reserved. All brand, product, service, and process names appearing on this Web site are trademarks of their respective holders. Reference to or use of a product, service, or process does not imply recommendation, approval, affiliation, or sponsorship of that product, service, or process by John Carrillo Hydronic Heating Specialist- Heat My RV. Nothing contained herein shall be construed as conferring by implication, estoppel, or otherwise any license or right under any patent, copyright, trademark, or other intellectual property right of John Carrillo Hydronic Heating Specialist- Heat My RV or any third party, except as expressly granted herein. CONDITION: All items are brand new unless specifically noted otherwise. We sometimes sell used, refurbished, rebuilt or reconditioned items, which will be clearly noted. Disclaimer – Parts available on this website require advanced skills to be properly and safely installed. Since I have no idea of the capabilities of the person purchasing the parts I am selling the parts without being able to judge whether or not you have the skills necessary to make repairs. Only you know if this is a repair that you should attempt. If you are not comfortable working on your hydronic heating system, you should seek out someone to do it for you. Proceed at your own risk. This site may contain other proprietary notices and copyright information, the terms of which must be observed and followed. Information on this site may contain technical inaccuracies or typographical errors. Information, including product pricing and availability, may be changed or updated without notice. John Carrillo Hydronic Heating Specialist- Heat My RV and its subsidiaries reserve the right to refuse service, terminate accounts, and/or cancel orders in its discretion, including, without limitation, if John Carrillo Hydronic Heating Specialist- Heat My RV believes that customer conduct violates applicable law or is harmful to the interests of John Carrillo Hydronic Heating Specialist- Heat My RV and its subsidiaries. We reserve the right to correct pricing errors by canceling the order and making full refund. If an item is listed as zero price, then item is not availble. John Carrillo Hydronic Heating Specialist- Heat My RV does not sell products for purchase by children. If you are under 18, you may purchase parts only with the involvement of a parent or guardian. Our cut off time for all ground orders must be placed prior to 2:00 pm Mountain Time, this is our policy. Sometimes it is not possible due to an item being on back orders and holidays, which in these cases we will be in contact with our customers to let them know if they still want to keep the order. Items ordered prior to 2:00 pm Mountain Time are shipped the same business day. 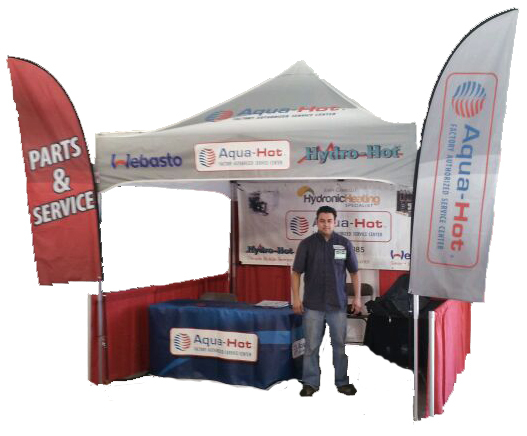 At this time, John Carrillo Hydronic Heating Specialist- Heat My RV ships merchandise to locations within the United States and U.S. territories, including Alaska, Hawaii, Puerto Rico, Guam, and the US Virgin Islands. The website will not accept orders to any other location. Standard Shipping: Most FREE shipping is by US Mail Priority. Post Office says 2-3 business days for delivery. United Parcel Service shipping is available to any street address within the contiguous United States, however may not be free. If you do not specify shipping method, then it is my choice. It is purchaser responsibility to assure that the shipping location you provide will accept US Mail deliveries. It is my responsibly to deliver package to shipping pickup point by prior to carrier pickup time. Once dropped off, I have no control over shipping. If shipment is not delivered as planned, this is something that I have no control over. Many times the shipping carrier will offer partial refund for delayed shipments. I will attempt to obtain credit on your behalf, which I will credit back to you. Weather delays in shipping are outside of anyone’s control and are not compensated. Shipping late in the year can and will be delayed because of package volume and weather. The risk of loss and title for all merchandise ordered on this Web site pass to you when the merchandise is delivered to the shipping carrier. If there is a problem, I will assist you in any way I can with shipper. There is a shipping fee included in the price of boiler coolant that is on the website because it is so heavy and must be shipped via FedEx. John Carrillo Hydronic Heating Specialist- Heat My RV charges Colorado Sales Tax for merchandise and shipping for all items shipped into Colorado. All new parts have 6-month from date of purchase exchange warranty. Defective items will be repaired or replaced during the 6-month warranty period. Customer is responsible for paying all warranty related shipping charges. Prior warranty return authorization required. Defective items must be returned for inspection before any warranty replacement will be provided. A service charge will apply for any items returned without prior authorization, or for any items that are found to be operating properly. Evidence of abuse, alteration, physical damage, improper installation, excess voltage, reverse polarity, short circuit, or voltage spike voids warranty. Tampering, altering or removing serial numbers from parts voids warranty. Used parts are subject to warranty as outlined on website for that item. John Carrillo Hydronic Heating Specialist- Heat My RV reserves the right to revise this policy at any time. You may return some new, unopened items sold within 30 days of delivery. There may be a minimum restocking fee of up to 25%. All returned items must be in “As new” and re-saleable condition with all original packaging and components. Most electrical parts are not returnable and should state in the description “This part is NOT returnable”. John Carrillo Hydronic Heating Specialist- Heat My RV reserves the right to refuse refund on any item that is not returned in “As new” condition. Third party returns may be subject to a minimum 50% restocking fee. At no time will John Carrillo Hydronic Heating Specialist- Heat My RV be responsible for payment of any return shipping charges, including return of warranty items. We will pay the return shipping costs if the return is a result of our error. If install tools that are loaned are not returned within 90 days, you will forfeit your deposit. You should expect to receive your refund within four weeks of giving your package to the return shipper. In many cases you will receive a refund more quickly. This time period includes the transit time for us to receive your return from the shipper (5 to 10 business days), the time it takes us to process your return once we receive it (3 to 5 business days), and the time it takes your bank to process our refund request (5 to 10 business days). We’ll notify you via e-mail of your refund once we’ve received and processed the returned item. Electrical items, including but not limited to control boxes, ignition coils, motors, pumps and flame sensors. Any item that has been installed or used. Contact Me For Return Authorization information and where to ship items. Although the information on this Web site is accessible worldwide, not all products or services discussed in this Web site are available to all persons or in all geographic locations or jurisdictions. John Carrillo Hydronic Heating Specialist- Heat My RV and the advertisers each reserve the right to limit the provision of their products or services to any person, geographic area, or jurisdiction they so desire and to limit the quantities of any products or services that they provide. Any offer for any product or service made in the materials on this Web site is void where prohibited. GOVERNING LAW: In the event of litigation both parties agree that the Law of the State of business registration of John Carrillo Hydronic Heating Specialist- Heat My RV shall apply and both parties shall consent to the jurisdiction of said State’s courts, or in the event of diversity of citizenship, the United States District Court for the (District). Both parties expressly waive a trial by jury. MISCELLANEOUS: The Terms and Conditions constitute the entire agreement between you and John Carrillo Hydronic Heating Specialist- Heat My RV with respect to this Web site. The Terms and Conditions supersede all prior or contemporaneous communications and proposals, whether electronic, oral or written between you and John Carrillo Hydronic Heating Specialist- Heat My RV with respect to this Web site. No modification of the Terms and Conditions shall be effective unless it is authorized by John Carrillo Hydronic Heating Specialist- Heat My RV. If any provision of the Terms and Conditions is found to be contrary to law, then such provision(s) shall be constructed in a manner to closely reflect, as much as possible, the intentions of the parties, with the other provisions remaining in full force and effect.